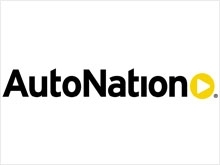 AutoNation Inc. said today its U.S. new-vehicle sales rose 9 percent in June from a year earlier to 27,862, making it the retailer’s best June since 2005. Industrywide, U.S. light-vehicle sales rose 3.9 percent in June. For the second quarter, the nation’s largest new-vehicle retailer posted sales of 86,794 vehicles, up 7 percent from the same period in 2014. For June, AutoNation reported a 14 percent increase in luxury deliveries from June 2014 to 6,470. Sales of its domestic brands climbed 9 percent to 8,282 and import brands rose 8 percent to 13,110. Same-store retail sales advanced 7 percent from the previous June. For the second quarter, luxury-vehicle sales increased 17 percent from the second quarter of 2014 to 18,950. Domestic brands rose 8 percent to 26,826, and import brands eked up 1 percent to 41,018. AutoNation, of Fort Lauderdale, Fla., ranks No. 1 on the Automotive News list of the top 150 dealership groups in the United States, with retail sales of 318,008 new vehicles in 2014.